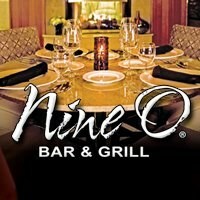 The Nine O Bar & Grill is a stylish, new restaurant in the bustling Eastgate neighborhood of Bellevue. We are conveniently located in the heart of the I-90 high-tech corridor and we offer free parking for all of our guests. Nine O features upscale casual American fare in a warm and inviting atmosphere. Our specialties include premium burgers, gourmet salads, delicious steaks and fresh local seafood, along with chef-inspired seasonal specials. In addition, we offer a great selection of beers on tap, regional wines, handcrafted cocktails, and premium spirits in our comfortable, neighborhood bar. As a part of the Silver Cloud Inns & Hotels family, the Nine O Bar & Grill is an extension of the service and hospitality culture upon which Silver Cloud has built its excellent reputation. Founded over 30 years ago, Silver Cloud Inns & Hotels continues to provide outstanding customer service based upon the simple premise of always demonstrating “Friendliness and Cleanliness” to every one of our guests. Silver Cloud Inns & Hotels and the Nine O Bar & Grill remain locally owned and operated and we continue to put extraordinary customer service and trust at the center of all we do. From both the Corporate and Hotel levels, our entire staff takes personal pride in providing superior customer service to each and every guest. Our goal is to treat each of our guests as if they were in our own home.